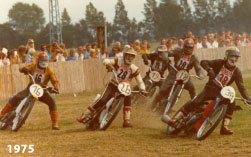 In this time Friedhelm Großewächter drove grass track racing actively. Bärbel Großewächter supported her husband during the preparations for the racings. The maintanance and the tuning of their own racing motor bike was not given out of their hands. The active driver career of Friedhelm Großewächter was terminated by a serious accident at the motorcycle speedway in Harsewinkel. Bärbel and Friedhelm Großewächter made their passion the occupation. 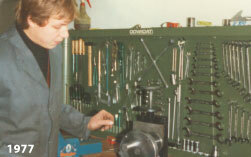 The company `` mechanical garage `` in the Soar 25 was founded and Friedhelm Großewächter simultaneously went to training school for master craftsmen. 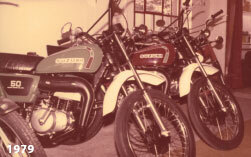 In addition a retail shop with an attached workshop was opened in the heart of Spenge and a Suzuki representation was founded. Friedhelm Großewächter still took actively part at motocross races. 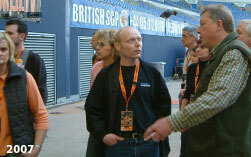 First employees were hired and two training vacancies were created. Meeting of the most successful Suzuki dealers in Japan. Specialization of the sale of engine substitutes and tuning parts. The development and manufacturing of camshafts required an expansion of the Business premises `` Im Soar ``. To ensure a fluently operation flow we decided to abandon the Suzuki representation and the retail shop in the heart of Spenge. 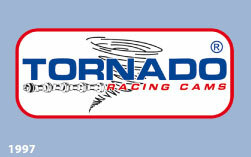 The camshaft logo `` TORNADO RACING CAMS `` gets the symbol for a registered trade mark. `` Im Soar `` it got too small again and a renewed expansion of the operational facility queued. 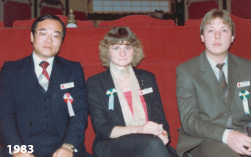 25 - years company existence with a great celebration. 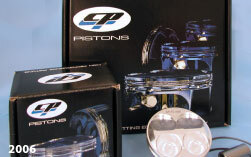 Taking over the distribution of CP pistons in Europe. On the occasion of our 30th anniversary; Company outing to the Speedway Grand Prix to the Veltins Arena on Schalke.